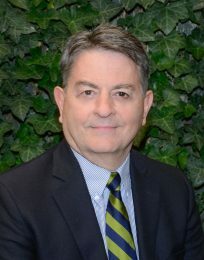 Dr. John Groesbeck was appointed President of Mesalands Community College in July 2018. He has over 20 years of experience in academics, having served in both faculty and leadership roles. Dr. Groesbeck worked for both two-year colleges and universities that had a blended role of awarding associate’s through master’s degrees in New Mexico, Missouri, and Utah. During that same time, Dr. Groesbeck worked as a faculty member, earning the rank of tenured professor. He was also a director, department chair, and Dean of Colleges of Business. While working in higher education as a faculty member and leader, Dr. Groesbeck has been active in outreach and consulting with local, state, and federal governments, as well as private organizations, regarding the financial feasibility and economic impacts of various projects. Ms. Natalie Gillard became the Vice President of Academic Affairs at Mesalands Community College in July 2010. Prior to serving as the Vice President of Academic Affairs, Ms. Gillard served as the Associate Dean of Instructional and Administrative Services for four years. Before that Ms. Gillard began her tenure at the College serving as the Business Administration Lead Faculty Member and the Division Chair of Arts and Sciences for twelve years. In addition to Academic Affairs, Ms. Gillard has been actively involved in all aspects of the College, with a primary focus on the regional accreditation process with the Higher Learning Commission from candidacy to reaffirmation. Ms. Gillard has been working in higher education since 1994. Ms. Gillard earned both her M.B.A. and B.B.A. from East Texas State University now known as Texas A&M University-Commerce. Ms. Amanda Hammer graduated from Adams State University in Alamosa, Colorado in May 1998 with Bachelor of Science degrees in Business Administration, Finance and Economics. She started with The First National Bank of New Mexico in Raton and then transferred to the Tucumcari branch to be a loan officer. Ms. Hammer started at Mesalands Community College as the Business Manager in May 2004. In July 2006, she was transferred to Director of Financial Aid. 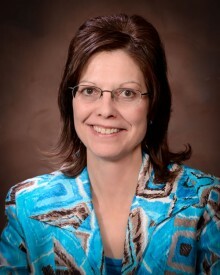 While in this position, she became very active in the New Mexico Association of Student Financial Aid Administrators and served as President in 2011. 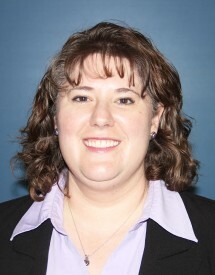 Ms. Hammer was hired as the Director of Business and Auxiliary Services in late October 2013. She oversees the Business Office, College Stores, and Financial Aid. 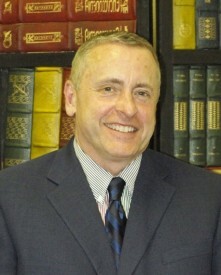 Dr. Aaron Kennedy became the Vice President of Student Affairs at Mesalands Community College in July of 2007. The Student Affairs area is comprised of Enrollment Management, Recruiting, Student Activities, Student Clubs and Organizations, and other student-related areas. As a member of the Executive Team, Dr. Kennedy has responsibilities across the campus, and is involved in many campus-wide committees and projects. Dr. Kennedy earned his Ph.D., Master’s, and Bachelor’s from the University of Northern Colorado in Greeley, Colorado, and has been working in higher education since 1992.